Check out the views form this property! 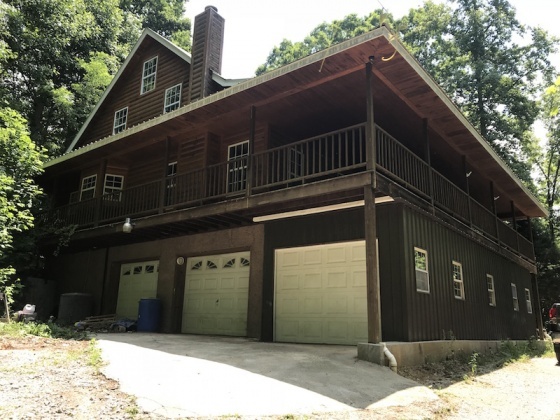 Own this rare getaway property at a massive discount! 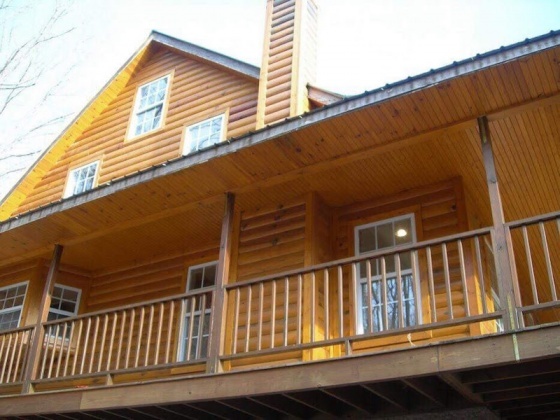 This 3 bedroom/3 bathroom log cabin style home sits on 101 acres and has BONUS ROOMS. 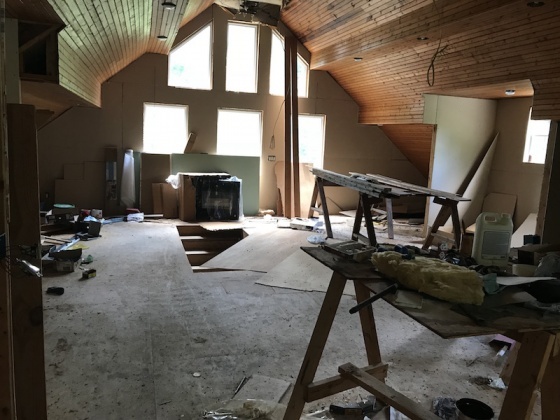 Officially, the house is recorded at 1440 sqft., but it feels so much bigger because of the safe room, the workshop and big three car garage. 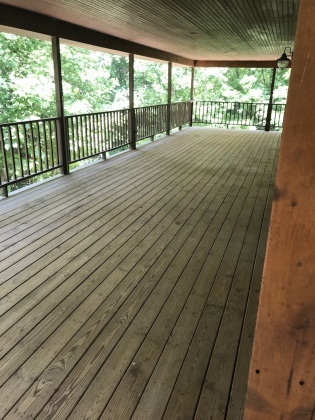 Park your vehicles, store your ATVs, secure your hunting gear, and work on your projects….lots of room! The house has a new fireplace, and a redone gutter and water system. 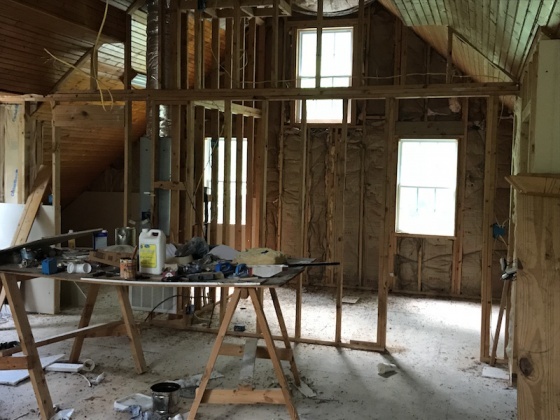 The upstairs 1 bed / 1 bath needs to be finished but features great natural light, vaulted ceilings and an open design. 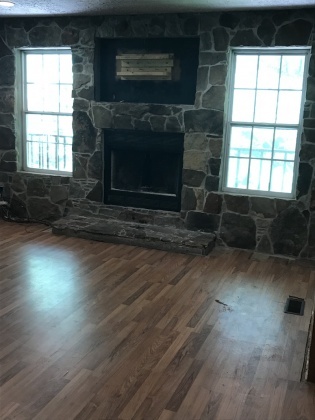 The downstairs has an open kitchen, fireplace, and spacious living area. The downstairs is liveable as is, but could use some finishings and touch ups. This house is waiting for someone to bring out it’s full potential. 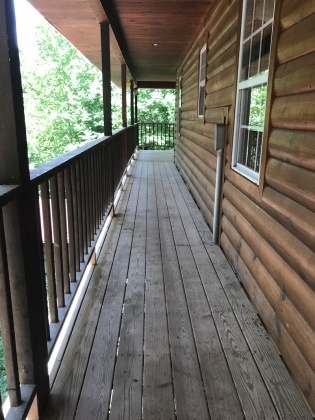 Outside the house has a huge porch on the front and wrap around porch on both sides. 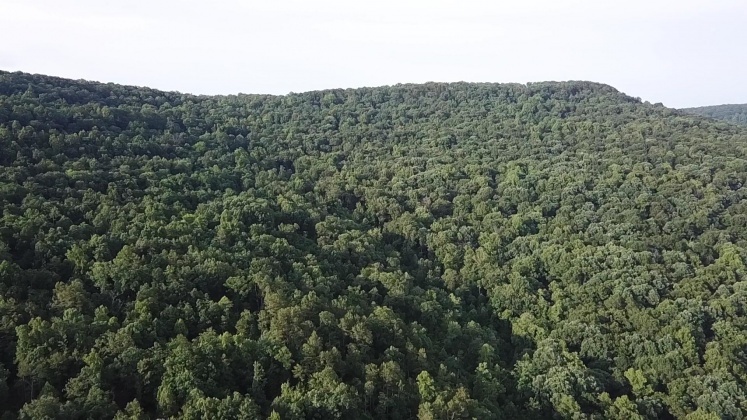 The 101 acres is mostly hilly, but has trails winding through the hills for hiking and ATV riding. 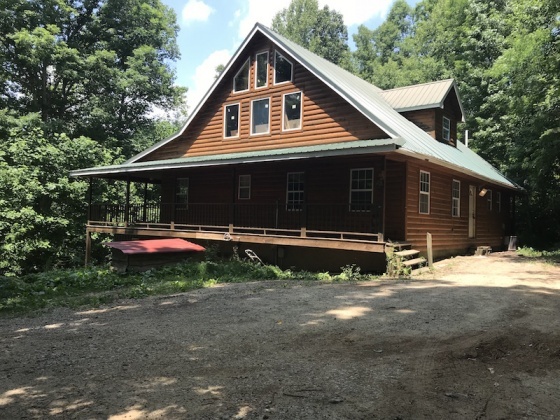 This property is surrounded by forest and woods on the adjoining properties, so you’ll be sure to see an abundance of deer and other local game and wildlife. Explore all the way to the top of the hill and you’ll find an old abandoned cabin as well — for when you’re done your first project. 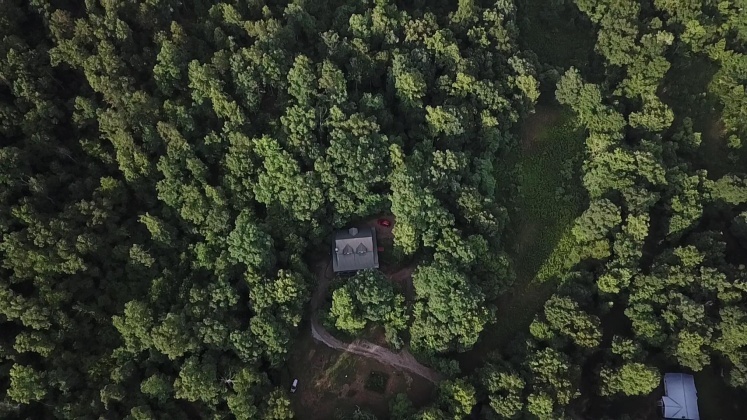 The cabin at the top of the hill could be an amazing guest house or rugged getaway for your guests. A small creek runs across the front of the property. 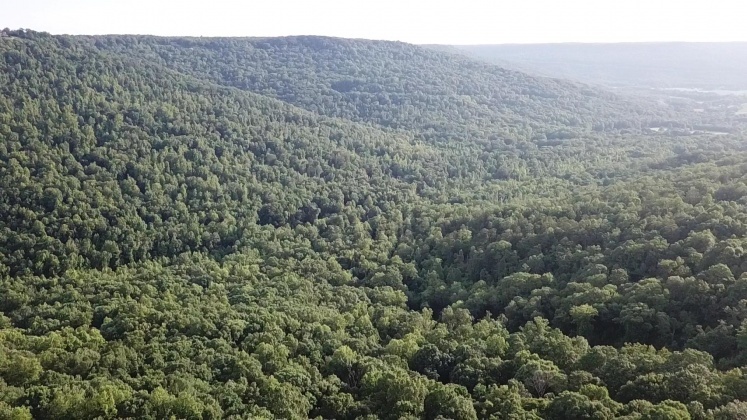 With some clearing, the property will also boast a beautiful view of the surrounding hills. Some spots on the property have good timber potential as well. 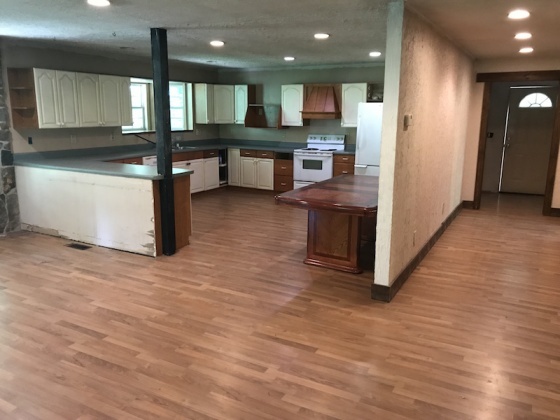 This deal has it all — privacy, lots of space, a fun project to work on and lots to do. This is a go to spot for hunting, hiking, ATV exploring. Like bluegrass and cool emerging music? 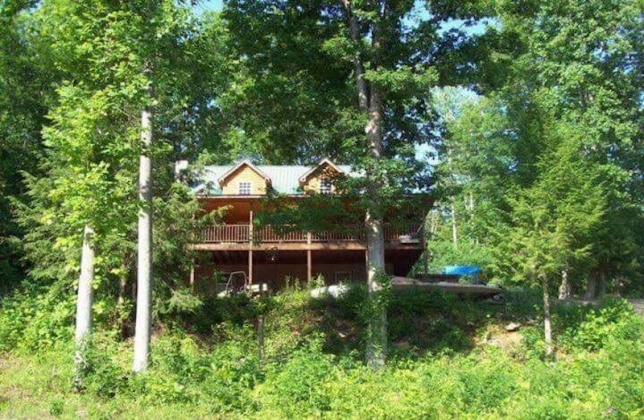 This property is just 9 miles to the famous bluegrass underground and caverns concert venue. Bring your friends and family out for a retreat visit the “musical adventure” at the caverns. It’s also within driving distance! 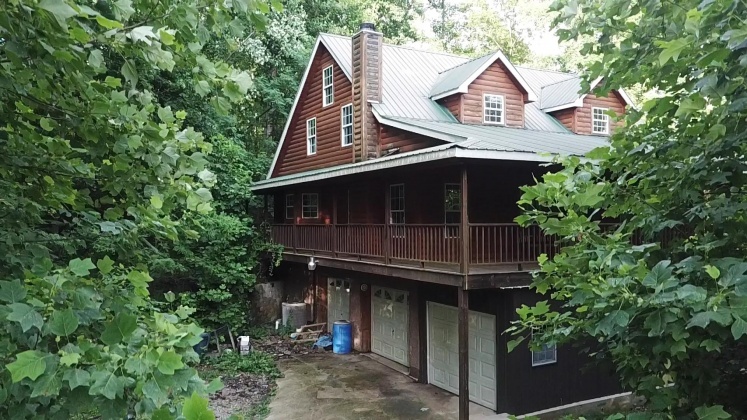 This property is just 47 miles from Chattanooga, 55 miles from Murfreesboro, 68 miles from Huntsville, 87 miles from Nashville and a short 2.5 hours to Atlanta. 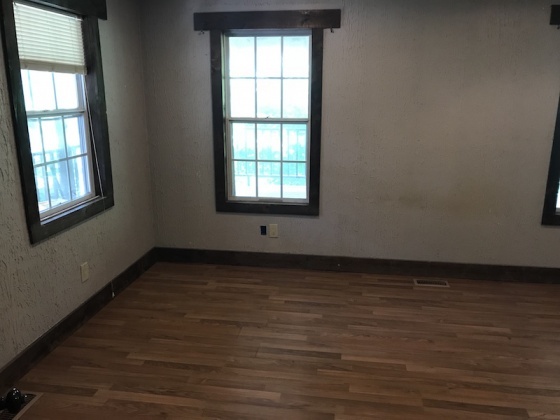 This property could be fully finished for as little as $20k. If you would like to do a high-end remodel, our expert team estimates about $60k. 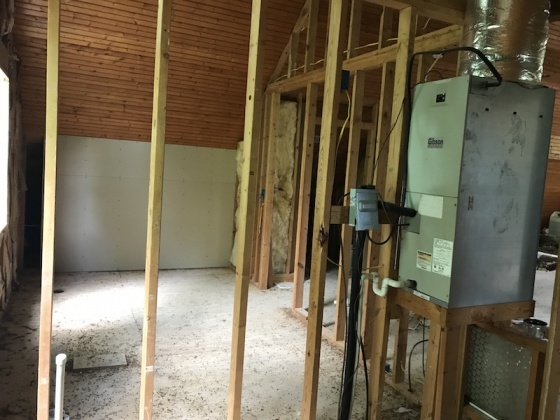 Here’s the kicker…..once the house is finished this property would easily list from $340-$390k! We are listing this for a fast sale at just $229,500. Even with the rehab work, that’s a huge deal! 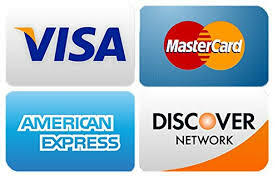 Don’t miss this chance, this is a rare find! Street : 1505 Laynes Cove Rd.